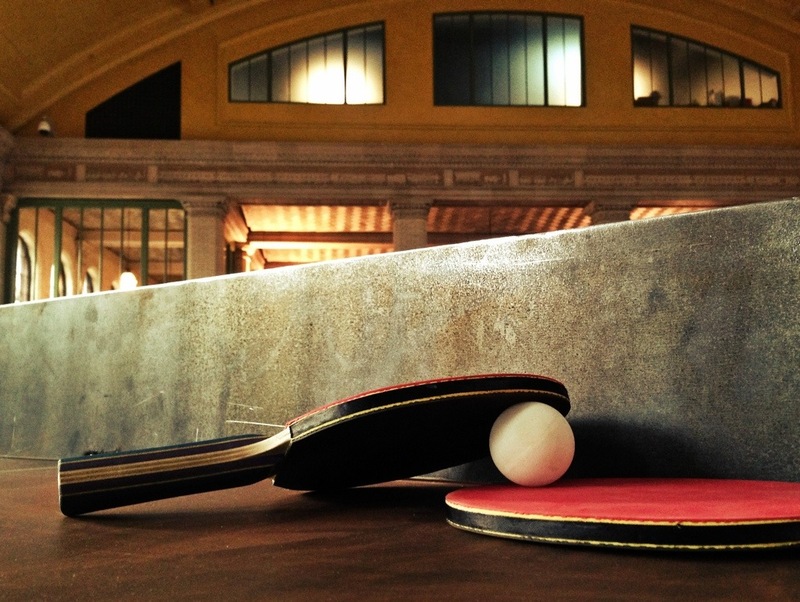 A beautiful wood and steel ping pong table was crafted for festival goers to play on inside the Saint Paul Union Depot during last night’s Northern Spark event. It was still there on the concourse level today, so husband and I played a set. He won. Just barely. This is day 160 of Photo 365.